In theory, your search for meaning ends when you find Jesus. Meaning is part of the gospel. Come to Jesus and you find meaning. It didn’t work that way for me. Back when I came to Jesus, I didn’t even know I was looking for meaning. After all, I was only ten. My search for meaning—that magical something that makes life worth living—started later. It started here: As I was growing up, my mother told me I was smart. Smart is good. Stupid is bad. If I could be smart, I would be okay. Combine that with faith, and I thought the path to meaning was to become a smart Christian—a Christian who knew all the answers. That’s why I went around asking questions. Who are the sons of God in Genesis 6? What’s wrong with hyper-dispensationalism? Answer: People didn’t know, and people didn’t care. 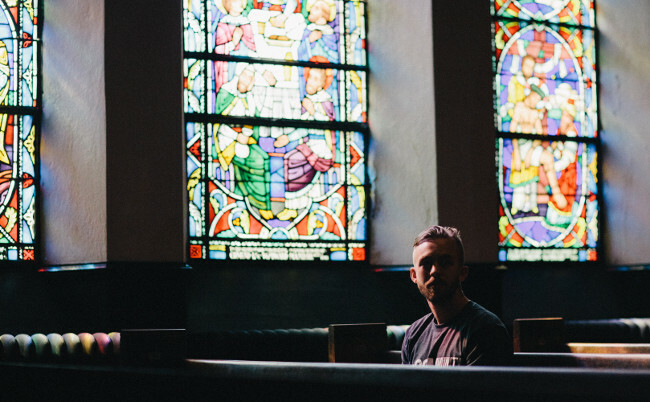 As I matured, my questions matured: What is the purpose of the church? How do you know if you’re filled with the Holy Spirit? Answer: Dwight, go away and leave me alone. Somewhere in there, I got married. When the “happily ever after” part started to wear thin, I realized I had a wife to fix. For me to be okay, my wife needed to be okay. And she wasn’t. So I had to fix her. But even though I was a smart Christian, a churchy Christian, a color-inside-the-lines Christian, I didn’t have the ability to fix my wife. I had to employ outside help. That was interesting. But not in the way I expected. The outside help opened my eyes to a new reality. My biggest problem was not lying in the bed next to me. My biggest problem was closer. My biggest problem was myself. So I looked for a way to fix myself. And, though I wanted to find it in the church, I didn’t. I wanted to find it in my faith. But I didn’t. So I looked elsewhere. I saw a picture of Arthur Janov, looked into his eyes, and thought, “Wow, he’s alive. Whatever he has, I want it.” Maybe you remember him. He was the author of The Primal Scream. Anyway, I tried primal therapy. That was a trip. I almost got excommunicated from my church for doing that. Again and again, I was called up before the tribunal and asked to recant. Throughout this journey, the majority of people around me were busy living their own lives and not paying much attention to mine. But those who did pay attention were, I think, bewildered. “Dwight, if you would just follow the rules, you would be fine.” I did follow the rules. I was what you would call a super compliant child. I followed the rules so much that I lost my own identity. “Dwight, what you need is the baptism of the Holy Spirit accompanied by speaking in tongues.” (Here I must break my customary silence on this topic.) Guess where I started speaking in tongues? In the middle of a primal therapy session! Life is rich. “Dwight, when the music starts, just lose yourself in worship. It’s not about you anyway.” Yeah, sorry. Maybe I have a defective worship gene, but these song services mostly don’t activate it for me. Again, sorry. Besides, I don’t want anybody, except maybe God, hearing me sing. Long story behind that. “Dwight, you’re on mission. You have a world to change.” Yep. I have a love/hate relationship with faith-based activism. Yes, we need it. Yes, we need to engage. I get that. I do that. But how many activists do you know that you actually like—I mean like to be around? Love, I guess, gives no thought to its own happiness. Or maybe that’s duty. I’m not really sure. Speaking of love, “Dwight, you’ll find meaning in the friendships you’ll form in the church.” Yeah. Great people in the church. You may be one of them. But I’ve discovered that people who are good at making friends will make friends at church or anyplace else. Those who aren’t are out of luck. But I digress. And, please, don’t get me wrong. I am grateful for my friends. But that’s not where I found meaning. Anyway, did primal therapy fix me? Yes and no. A little. I’m glad I did it. Not sure I’d recommend it. My therapist died suddenly, unexpectedly, and I was left to sort out that loss alone with God. Speaking of God, since I was a super compliant child, I tried hard to be a super compliant child of God. “Anything you want me to do, God, you just name it, I’ll do it.” That didn’t work so well. Maybe you can read between the lines and figure out why. I was headed for heaven. I said the prayer. My sins were forgiven. But I didn’t really know what I would do once I got there. I knew God loved me. I mean He had to. That was part of His job description. But did He like me? Nah. I was never good enough. Never. Forgiven, and then tolerated. So, when I got to heaven, I hoped I might be invisible to God just the way He is invisible to me now. That way, I would stay out of His way. If I could find some little house on the outskirts of heaven and go for a walk every day—that would be good enough for me. I don’t know when exactly God started meeting with me. Certainly when I got into TPM—we used to call it Theophostic—but I think God was knocking on the door all along and only slowly did I grow the ears to hear it. He told me all kinds of things—things I don’t have the power to share with you—only because you need to hear them from God Himself. He told me that He likes me, that He likes hanging out with me. Wow. I just wandered around for two years trying to take that in. God likes me. He wants me around. Wow. All these hurting places inside—just like the storm on the sea of Galilee—they were crashing against my soul, tearing me up, but Jesus just said, “It’s okay.” Then the water was still, and the wind was gone. See what I mean? I can’t tell those things to you. Only God can tell those things to you. I live on the edge. I’m not sensible by anyone’s definition. Someone said I’m one of the biggest risk takers they’ve ever known. I can’t explain my life to anybody, because it just won’t make any sense. But it makes sense to God. We talk about it. He coaches me. He encourages me. When I get beat up, He patches me up and sends me back into the game. I search here for words. Peace. I’m okay inside. I love my life. I’m deeply grateful. How did I find meaning as a Christian? I guess Meaning found me. Meaning knocked on the door. I walked over, hesitant and afraid at first, and opened the door.